← Afternoon Tea Is Served! 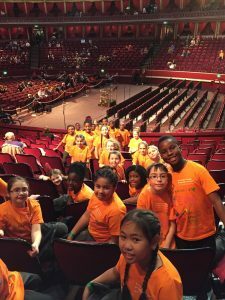 On Monday our wonderful School Choir enjoyed performing at the Royal Albert Hall…yes…that’s right…the Royal Albert Hall! The boys and girls were part of a larger choir of over 1000 children who put on a marvellous performance in aid of the Barnardo’s charity. 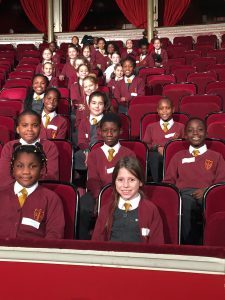 The children sang beautifully and were commended on several occasions for how well they had learnt the words and how well they were singing…well done, Mrs Skelton! After a full day of rehearsals, the boys and girls performed magnificently in a spectacular show which lasted nearly three hours and included songs from The Greatest Showman, La La Land, Frozen and some original songs as part of a lovely ‘Christmas’ play on the theme of homeless people. The children were a credit to St. Joseph’s Catholic Primary School and all of the adults involved agreed that it was a pleasure to spend the day with them…and the evening too! 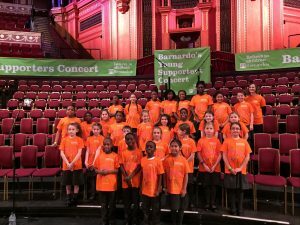 Many thanks to Mr. and Mrs Piazza and Mrs Figueira who helped us to transport the children to the Royal Albert Hall for what was a truly momentous day…we couldn’t have done it without you! This entry was posted in General, General News, Special Celebrations, The Common Good. Bookmark the permalink.